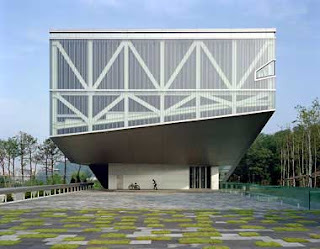 Seoul National University (SNU) is a national research university in Seoul, South Korea. Founded in August 1946, the university is the first national university of South Korea. SNU has been recognized for its leading role in South Korean academia and served as a model for the many other national and public universities established later in this country. Throughout its 60-year history, SNU has been regarded as the most eminent of all post-secondary educational institutions in South Korea. It is regarded as the most renowned university by the general public and recruits top-notch high school students. Today SNU comprises 16 colleges and 6 professional schools, with a student body of about 30,000. It has two campuses in Seoul: the main campus in Gwanak, and the medical campus (named Yeongeon Campus after its neighbourhood) in Jongno. SNU is notable for its "fleet-style" system, offering diplomas for virtually every academic field, from the liberal arts to nursing. Seoul National University honors the ideals of liberal education and aims to teach students a lifelong love of learning that will form the basis for continuous personal growth. At the same time it is committed to preparing students to work and live in an increasingly competitive global environment. As South Korea's first national university, Seoul National University has a tradition of standing up for democracy and peace on the Korean peninsula. Graduates have long served as public servants in key positions of the Korean government. In teaching, research, and public service, Seoul National University continues to set the standard of excellence. The mission of Seoul National University in the twenty-first century is to create a vibrant intellectual community where students and scholars join together in building the future. As Korea's leading research university, Seoul National University is committed to diversifying its student body and faculty, fostering global exchange, and promoting path-breaking research in all fields of knowledge. 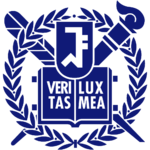 Seoul National University was founded on August 22, 1946 by merging ten institutions of higher education around the Seoul area, pursuant to "The Law Concerning the Foundation of Seoul National University." The schools merged were: Kyŏngsŏng University, Kyŏngsŏng Colleges of Law, Industrial Engineering, Mining, Medicine, Economics, Dentistry, the Normal School, the Women's Normal School, and Suwon Agricultural College. The first president was Harry B. Ansted. For over a year and a half, there was a large protest movement by students and professors against the law of the US military government in Korea merging colleges. Finally, 320 professors were fired and more than 4950 students left the school. The university's second president was Lee Chunho (이춘호; 李春昊), who served beginning in October, 1947. 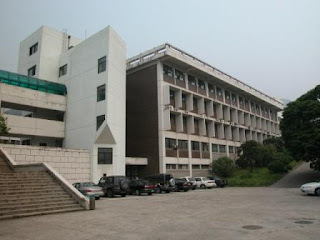 The college of law was founded by merging the law department of Kyŏngsŏng University with Kyŏngsŏng Law College. The university absorbed Seoul College of Pharmacy in September, 1950, as the College of Pharmacy. This had previously been a private institution. During the Korean War, the university was temporarily merged with other universities in South Korea, located in Busan. Seoul National University Hospital and the College of Medicine trace their history to Gwanghyewon, also known as Jejungwon, which has been claimed as the first western medical institution in Korea, founded by royal support in 1885. 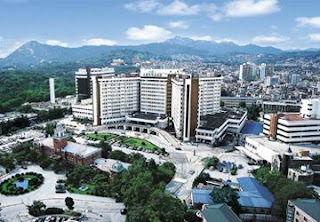 This assertion has however been disputed by medical historians, as lacking any tangible evidence.It is widely accepted that Gwanhyewon is instead a direct predecessor to Severance Hospital and Yonsei University's College of Medicine.It is suggested that Seoul National University Hospital and the College of Medicine are related, rather, to Daehan Hospital founded in 1907, which was supported by Japanese Resident-General Itō Hirobumi. Originally, the main campus (which embraced the College of Humanities and Sciences and College of Law was located on Daehangno (University Street) in Jongno. Most parts of the university relocated to a new campus in Gwanak in the period between 1975 and 1979. Part of the former main campus in Jongno is still used by the College of Medicine, the College of Dentistry and the College of Nursing and is now called Yeongeon Campus. In 1975 the main campus of the university moved to the newly constructed Gwanak Campus. 2006 was the sixtieth anniversary of the university. In January, the university ambitiously announced a twenty-year vision to make Seoul National University a world-leading research based university.